One of the things we love to do at City Clean is sitting down with business owners to go over all the benefits they will experience by using commercial mats. Often times we find that no other company has taken the time to explain the value that industrial mats can bring. But once we provide education on how commercial rugs and mats can save time and money, many businesses realize that working with a company like City Clean is a commitment they want to make. The benefits of using commercial mats may not be outwardly clear to everyone. As mentioned, we love educating people on what their businesses can gain from using commercial mats and so we’re sharing some of the top benefits below. Most people do know that mats can help keep things cleaner. But most don’t realize how much cleaner commercial mats can be! Did you know that up to 85% of the soil brought into any building can be contained within the first 10 to 12 feet of the entrance if you have commercial grade mats that properly fit your space? 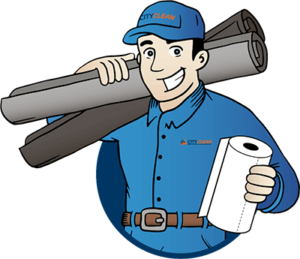 Front mats that you purchase at a retail store are not the same as the mats City Clean can provide. 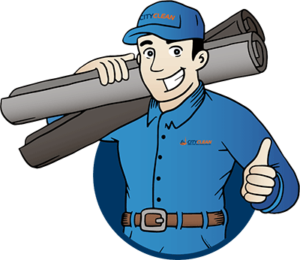 Not only will our mats trap dirt and water better than what you could purchase through retail, but when you use mat rental for business, your mats will be properly cleaned and maintained making them always look clean and brand new. Commercial rugs and mats can be considered a preventative measure when it comes to slips and falls. Flexible rubber backing City Clean rental mats ensures that your mats will conform to the floor and not slide around. City Clean also repairs and replaces uneven or torn mats to eliminate tripping hazards. Commercial and industrial mats can also be anti-fatigue which will reduce your employee fatigue and strain, leading to less accidents and errors. So your commercial mats will be keeping your business cleaner and safer, but did you know that they can also contribute to your marketing strategy? City Clean can provide mats that include your logo or a specific message you want to convey to your employees or customers. Brand recognition is important for today’s businesses and City Clean can provide you commercial mats that help get your brand in front of more people. Commercial grade rugs and mats will also protect your floors from damage thereby reducing the cost you may have to spend on repairs or upgrades. It is also worth comparing the time spent cleaning a floor mat to sweeping and/or mopping an entire business floor. Less time spent dealing with dirty floors means more overall productivity from workers. 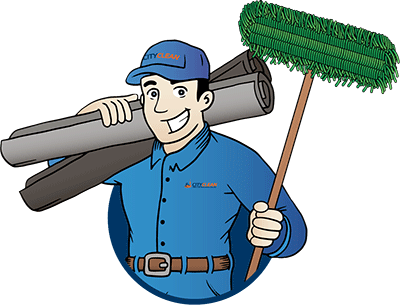 Working with a business mat rental company like City Clean means that your employees can focus on other important tasks and leave it to us to take care of what we do best – providing quality and clean commercial mats. City Clean feels passionate about helping businesses function better. If you are ready to take advantage of these benefits, contact City Clean to book a mat rental consultation.